Finding words for sad occasions isn't easy and sometimes we get it wrong. Below are suggestions as to how to word messages of sympathy so as to comfort and not offend, phrases to avoid and verses to include in cards of condolence. 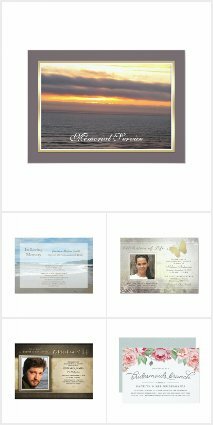 Also featured is a range of cards and memorial gifts that include words of sympathy and condolence that you can further personalize to ensure your genuine sadness at the loss of the deceased is conveyed. Express Your Condolences for the loss of Mother, Father or other with words that express your sincere sadness for their loss and that you are thinking of them. "I am so sorry for your loss, losing a mother / father is one of the worst things to bear, my thoughts and prayers are with you." Ensure you use their name too. Names can feel uncomfortable to say when the person is deceased but it's very important to use them. Don't be afraid to do so. Show that you sincerely care and are willing to help. "I am here as your friend (neighbor, family) to support you and help you in any way you need during this difficult time. If you need anything just ask. I am also here to just listen if you want to talk, cry or just to have some company." Share a fond memory, something you can reminisce together about and cherish. Also try to remember anniversaries of death and living moments of the deceased as the grieving person will do and will require extra support during those times. .It is never too late, so even if the funeral has passed and you came across the news late you can still send a card. Choose a simple card and handwrite the message as it is more personal. Use the person who is deceased's name. Offer condolences, and if appropriate a sincere and specific offer of help. Do not make promises you won't or can't keep.
" I am sorry to hear your tragic news. It came as such a shock, you must be devestated. We are all thinking of you and while I sadly can't make the funeral I will be there with you in spirit and I will be around afterwards to meet up to share fond memories and catch up. "